Natural disasters create opportunities for heroic rescues, and this is true for cloud computing as well. 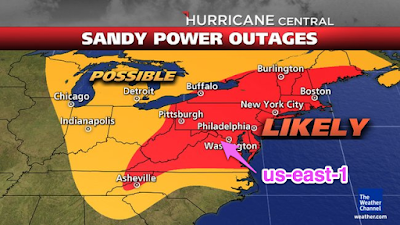 My company serves many government agencies across the country, and over the years several have experienced flooding and prolonged power interruptions at their data centers. 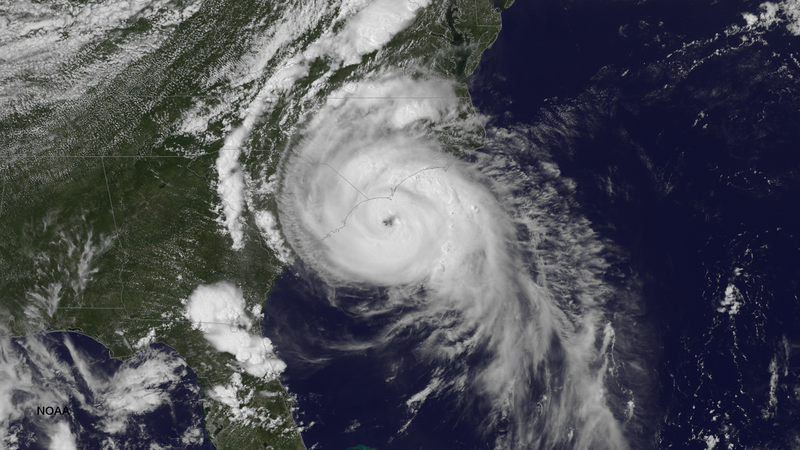 One of the strongest business cases for cloud computing is to ensure continuity of operations, and natural disasters put this strategy to the test. I have had clients lose use of their on premises computing facilities due to flooding and hurricanes, as well as being unable to reach their offices in blizzard conditions. Hurricane Sandy in 2012 may have triggered the greatest level of a cloud computing response by flooding sections of New York City. Administrators who were prepared with cloud resources moved their computing from Manhattan to Northern Virginia or even across the country to Oregon. 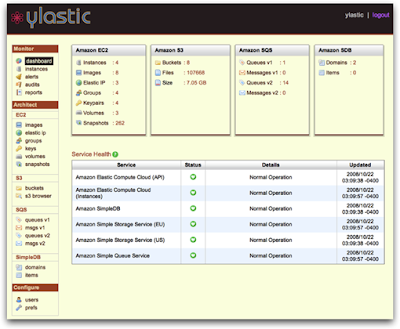 Services such as ylastic automate the process of moving cloud services from one zone to another in Amazon Web Services. It offers management consoles to simplify backups of Amazon Machine Instances (AMI). BMC Truesight Pulse (formerly Boundary) works with data from AWS CloudWatch to provide insights on events and alerts. Microsoft's Channel 9 offers a video series on building scalable, resilient cloud services in Azure. .
Whatever your disaster plan, the only way to be sure that it will work is to exercise it. Test your plan and make notes of the actions that failed or work so you can improve it. Measure how long it takes to get the data from one place to another -- often underestimated. If you cannot afford to have your operation interrupted, moving to the cloud now will eliminate many of the most likely threats and open new options for operating at data centers that are in different regions. A hybrid cloud approach brings some of the benefits of cloud migration and can provide a lifeline in case your data center is disabled or destroyed. Don't wait for a natural disaster to adopt cloud computing. Instead, ask yourself what you would do in case of disaster.